Not just a means of relieving back pain; chiropractic care can treat a number of symptoms including, pain, swelling, muscle spasms, and limited range of motion. These symptoms can come from many conditions such as strains, sprains, joint dysfunction, joint degeneration, degenerative disc disease, nerve entrapment, headaches and more. Chiropractic can treat the entire body from the head, neck, and shoulders to the back, pelvis, elbows, wrists and hands, all the way down to the hips knees, ankles and feet.What makes chiropractic different from many other healthcare disciplines is a shift in focus from treating superficial symptoms to an emphasis on the underlying cause of pain and dysfunction. Chiropractic care addresses the on-going wellness of patients, offering a focus on preventive care. While many patients seek chiropractic care to treat particular concerns, you don’t need to have a specific complaint or condition to benefit from chiropractic treatment. Not only that, but chiropractic care is effective for people of all ages, from infants to the elderly. If you would like to talk to a pt Health chiropractor in Windsor to help determine if chiropractic is a suitable choice for your health care goals, make an appointment, and one of our highly trained professionals will be in touch. pt Health therapy services are covered by most extended health insurance companies and in some cases Veterans Affairs and Medicare – such as OHIP (Ontario), Alberta Health Care and Medical Service Plan MSP (British Columbia). Not sure if you have coverage? No problem. We can help you find out (and usually within the hour). Just call us toll-free at 1-866-283-4827. At pt Health we believe your health should come first. With clinic locations throughout Windsor], we have a location near you. We take care of the paperwork and offer direct insurance billing so you can focus on getting better while saving you time and upfront costs. Our chiropractic care team designs programs to address a particular back condition and to help you prevent future back pain problems from reoccurring. Chiropractic Care treatments focus first on relieving pain, improving your back movement, and fostering healthy posture. There is a great deal of scientific evidence that chiropractic care is beneficial for back pain. pt Health physio clinics are evidence based and use the most current research when developing your treatment plan. We treat: piriformis syndrome, spinal stenosis, degenerative disc disease, disc herniation among other conditions. To learn more about how we can help your specific back injury, consider scheduling a no obligation appointment today. Nonsurgical therapy can optimize the health of your neck and in some cases, prolong the need for surgery. Our chiropractic care programs are often prescribed for 2 to 5 weeks for patients with neck pain, although your recovery time may vary. Our therapy sessions are designed to help ease pain and to improve your mobility, strength, posture, and function. To learn more about how we can help your specific neck injury, consider scheduling a no obligation physio appointment today. At pt Health we provide information and tools needed to successfully recover from a shoulder injury and to prevent future injuries from occurring. There are many types of shoulder injuries. To learn more about how we can help with your specific shoulder pain, schedule a no obligation chiropractic care appointment today. We look forward to helping you recover from your work related injury. Whether you spend your day at the computer, sitting at a desk, standing or lifting, we can work with you to design a program that will help you avoid or recover from work injuries. Find out how we can help by scheduling a no obligation chiropractic care appointment today. Pain in the buttock that radiates down the leg is commonly called sciatica. The most common cause for sciatica is irritation of the spinal nerves in or near the lumbar spine. After evaluating your condition, our chiropractic care team will use various treatments to ease spasm and pain. Discover how we can help your sciatica pain, call or email for your no obligation appointment today. Patients with osteoporitic bones begin losing their minerals and support capabilities, leaving the skeleton brittle and prone to fractures. The primary goals of our treatment are to educate you on proper posture, introduce safe ways of moving and lifting, and provide you with helpful exercises you can do at home to help prevent a decline in bone mass and prevent fractures. Find out how we can help you by booking a no obligation chiropractic care appointment today. Unfortunately there is no cure for osteoarthritis. Arthritis is a chronic but very treatable disease. Our physiotherapist's goals are to relieve your pain and to improve or maintain movement of affected joints. Our treatment for OA involves no prescriptions. Our rehab team will provide several options to help manage your symptoms effectively. To learn more about how we can help your specific OA pain, consider scheduling a no obligation chiropractic care appointment today. If you are experiencing pain from an ankle injury it is important that you get the correct form of treatment. If your ankle injury is not given the proper attention and healed completely, you run the risk of it occurring again or developing a chronic condition.Our approach to chiropractic care starts first by helping you understand your ankle injury as well as implement the necessary rehabilitation steps and bracing (when applicable)that can help correct your ankle problem.To learn more about how we can help your specific ankle injury, consider scheduling a no obligation physio appointment today. The knee is a sensitive area of your body and one that is prone to injury doing almost any activity. When you begin a pt Health knee chiropractic care program, our initial treatments will focus on decreasing pain and swelling in your affected knee. Our rehab team may begin range-of-motion exercises, with the goal of helping you swiftly regain full movement in your knee. This may include the use of rotation movements, gentle stretching, and careful pressure applied to the knee. We may also give you exercises to improve the strength of your hamstring and quadriceps muscles. As your symptoms ease and strength improves, we may also provide specialized exercises to improve knee stability. Learn more about how we can help. Book your physio appointment today. The foot can be the home of many problems, all of them uncomfortable and tough to deal with. We help treat stress fractures, pulled muscles, torn ligaments and more. Each foot injury is unique. To learn more about how we can help your unique injury, call pt Health chiropractic care today. The elbow is one of those areas that is easy to injure, whether it be from sitting at a desk all day or playing your favourite sport. Because elbow injury is most often linked to overuse, our chiropractic care team will work with you to reduce repeated strains during activity. When symptoms are from a particular sport or work activity, we will observe your style and motion with the activity. Our physiotherapist may suggest ways to protect the elbow during your activities. We also keep the collagen in your tendon from breaking down further. Our overall goal is to help your elbow injury heal as soon as possible. Call pt Health today to learn more about how we can help your specific injury. Balance problems affect over 50% of all adults at some time. A pt Health physiotherapist is trained to treat dizziness and balance issues including: BPPV (benign paroxysmal positional vertigo): an individual feels the environment is moving around them (i.e. spinning). This is related to a dysfunction in the vestibular system. A pt Health physiotherapist can help treat this with a series of maneuvers and exercises that restore normal function for the vestibular system and help the patient regain balance. Your situation is unique. To learn more about how we can help your balance issues, consider scheduling a chiropractic care appointment today. Acute injuries usually occur suddenly during activities. When you experience an acute injury there are things your pt Health physiotherapist can do to minimize tissue damage and protect from further injury. We help you to manage and recover from your injury sooner. Chronic pain is a broad category that includes many common conditions that affect the soft tissues of the body. At pt Health many nonsurgical treatment approaches are used by our rehabilitation team to reduce the symptoms of chronic pain. Our chiropractic care team gathers detailed information and will evaluate your condition closely. The answers you give along with the results of the examination will guide us in tailoring a unique treatment program that is right for you. The main focus of our treatment is to reduce or eliminate the cause of pressure in the carpal tunnel. We may provide suggestions about the use of healthy body alignment and wrist positions, helpful exercises, and tips on how to prevent future problems. Our physiotherapist may also begin treatments to reduce inflammation and to encourage normal gliding of the tendons and median nerve within the carpal tunnel. Although time required for recovery is different for every patient, as a general rule, you may see improvement in as little as four weeks. Your situation is unique. To learn more about how we can help your specific carpal tunnel injury, consider booking a chiropractic care appointment at a clinic near you. Car accident rehabilitation is a specialized type of chiropractic care with a focus on collaboration between pt Health rehab professionals. Our ultimate goal is to fully return you to the physical state that you were in the minute before your car accident occurred. Car accident therapy often requires the care of more than one health care provider and may involve blending such treatments as chiropractic care and massage therapy, for example. Your situation is unique. To learn more about how we can help your specific injury, consider scheduling a no obligation appointment today. Learn more about our physio treatment approach to auto accident whiplash. Non infected bursitis can be treated effectively. Our physio team will apply advanced therapy techniques to help reduce the inflammatory process of bursitis. Electrotherapy, such as ultrasound or shortwave diathermy can also help greatly. Your situation is unique, and so should your treatment be. To learn more about how we can help your bursitis pain, consider scheduling a no obligation chiropractic care appointment today. With over 230 locations, pt Health is one of the fastest growing physio and integrated health and wellness companies in Windsor and across Canada. 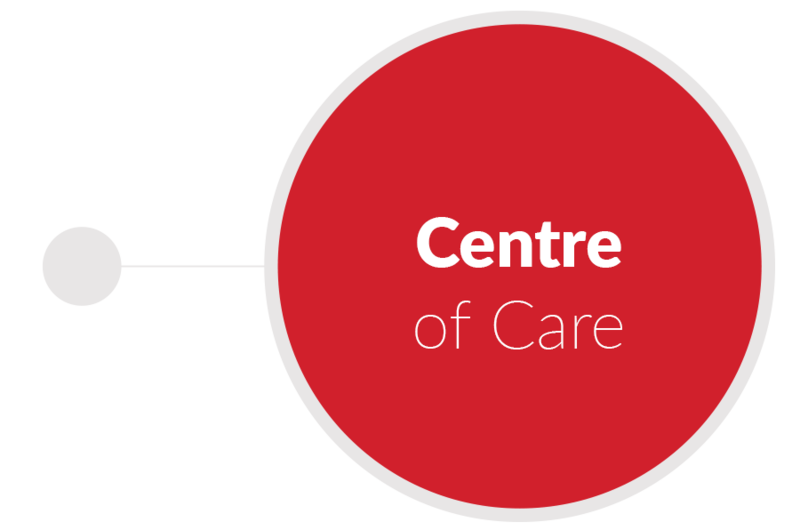 For years, we’ve delivered a wide range of health services to Windsor residents and we would like to do the same for you. Call or email to book a convenient no-obligation appointment today.